Alexandra Cuerdo is a UCLA alumna and director of “ULAM: Main Dish,” a food documentary that screens Saturday at the Million Dollar Theatre as part of the Los Angeles Times’ Los Angeles Food Bowl. Through discussing complex and varied topics, Cuerdo hoped to create an honest and compelling depiction of modern Filipino cuisine — one that included faithful narratives of the Filipino American chefs she worked with. 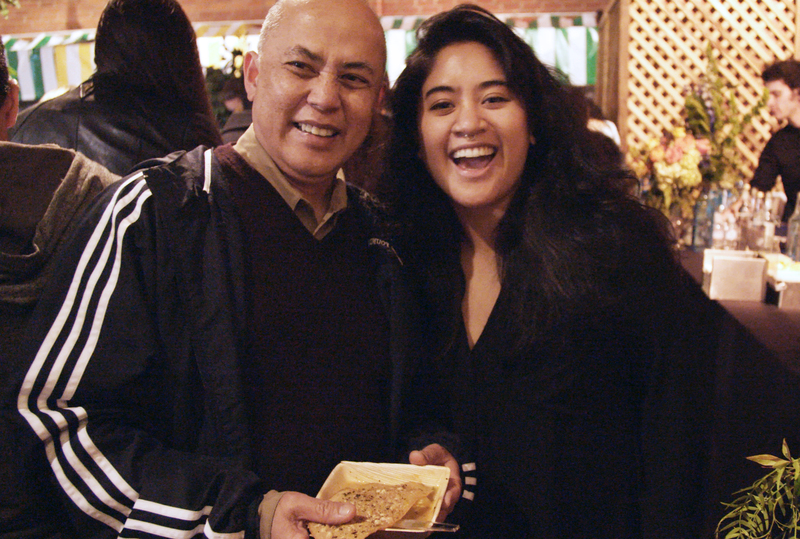 The idea for a Filipino food documentary was originally conceived by Cuerdo’s father and his friend, although it never came to fruition. The thought stayed with Cuerdo until 2015, when she pitched it to John Floresca, who would become the film’s co-producer and cinematographer, and they began working on “ULAM” together. from ULAM: Main Dish. Photo courtesy of Kidlat Entertainment. “ULAM” screens Saturday at the Million Dollar Theatre, presented by AMBOY and Grand Central Market. For tickets, directions, and further information, visit the event page here. Vivian is a fourth-year Psychology and Gender Studies double-major, a former editor-in-chief of FEM Newsmagazine, UCLA's feminist publication, and a dog person.